How does this looks so awesome?! 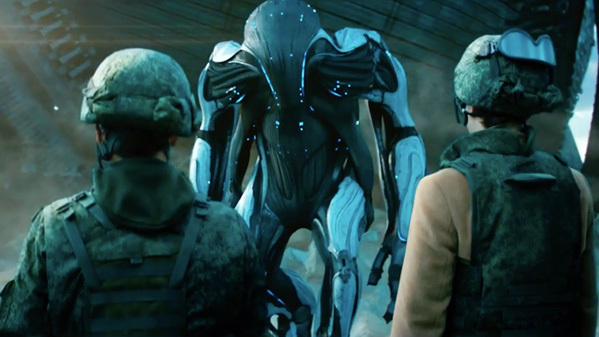 Another trailer has debuted for Russian alien arrival movie Attraction, or Prityazhenie, about a giant craft that crash lands in Russia. We featured two original trailers for this a few months ago, and this new trailer has even more footage of the alien creatures and their spacecraft. The film stars Oleg Menshikov, Alexander Petrov, Rinal Mukhametov and Irina Starshenbaum. It's made by the same guy who made Stalingrad and will be presented in IMAX 3D (at least in Russia) when it opens. The action really ramps up near the end, and it actually looks impressive. The VFX are better than most Hollywood movies, and the whole thing has an epic feeling to it. I'm excited to see this! Might be good. 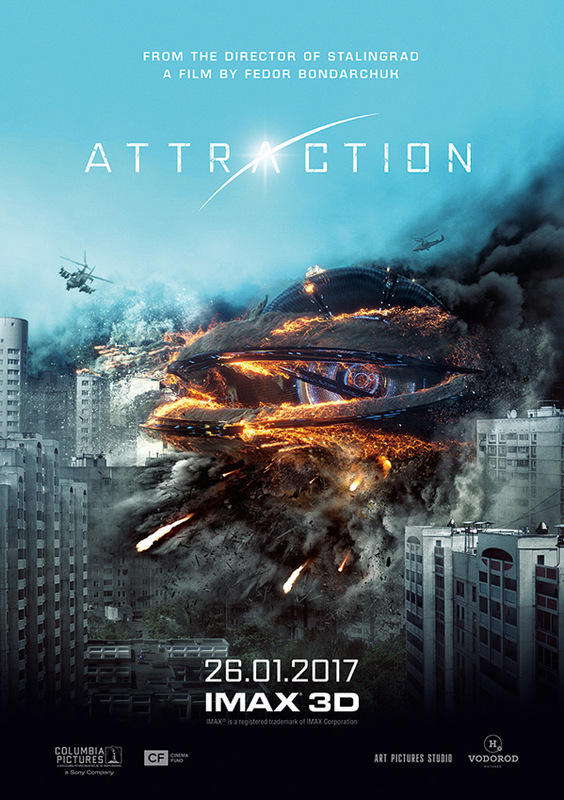 You can still watch the first two trailers for Attraction here, to see even more footage from this movie. Any American movie from 15 years ago. Looks dated and like a blatant Michael Bay ripoff. So this ripoff gets a pass then? lol....oh ok. It looks horrible...outdated special effects and a plot that would make Michael Bay cringe. Bad film makers don't get a pass just because they come from somewhere else. Are you Russian? Why so defensive? THis movie has a very good script / But then you have to watch it . There is jelousy and enviness against the alien who is a human for another stellar planet . The whole thing about it being Russian makes it refreshing. The final images of the trailer, so the running alien was a bit over the top but other than that, it fascinates me. Could it be some Attack the block meets Arrival? Oh, dude, this looks crazy fun at the very least. That alien concept is cool as heck! Garbage. It's like they asked some guy to create a Michael Bay movie on a shoestring budget. I'm not going to give this movie a free pass just because it's foreign. Hopefully the alien is a tiny little person controlling the suit from inside. Looks pretty good, considering it isn't from one of the major (Hollywood) studios. I'll be looking forward to it on DTV or Digital release later in 2017. Hi You Guys should see this film . As a matter of fact the alien resemble us humans . He is not agressive . Yet there is jelousy and enviness . Donr miss it . I saw this film in Moscow .